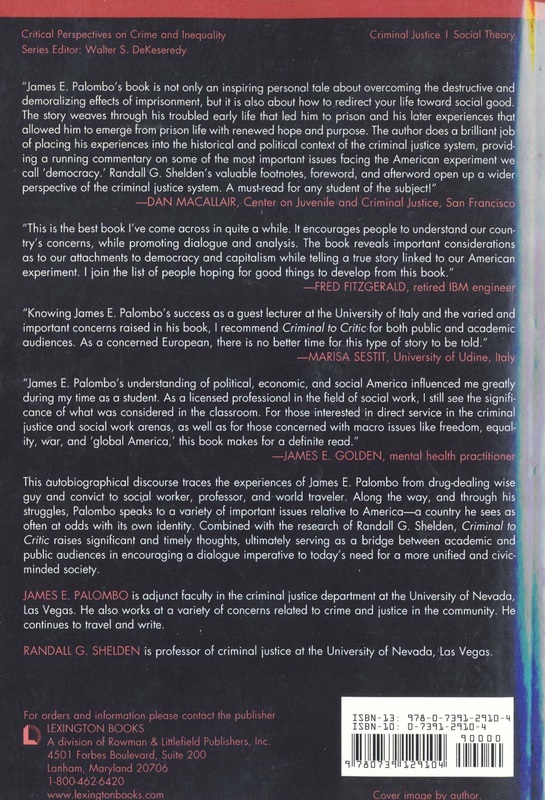 James Palombo has an undergraduate degree in political science and graduate degrees in social work (MSW), criminal justice (MA), and criminal justice management (PhD). He has taught nationally and internationally (in Europe, Asia and the Middle East) in both criminal justice and sociology disciplines for over twenty-five years, and worked at community programs for over thirty. 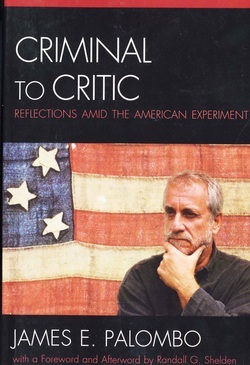 His previous book, an autobiographical discourse, is titled Criminal to Critic-Reflections Amid The American Experiment, Rowman and Littlefield Publishers. It relays his experiences of being a drug dealing wise-guy and convict who, by virtue of an education program developed while in prison, transitions to social worker, professor, world traveler and writer. In the context of the story significant and timely considerations are raised relating to the political, economic and social processes at work in America, a country that for him is often at odds with its own identity. In short, this collective “identity crisis” relates to the mixing of the ideals of democracy with the practicalities of capitalism – a mix made problematic by the lack of public understanding and dialogue related to these same elements. In the end, and as a primary aim, the hope in writing the book was that it could serve as a bridge between academic and public audiences, encouraging a dialogue imperative to today's need for a more open, unified and civic minded society. It is in this context that the book serves as a focal point for the Campaign for an Informed Citizenry efforts. With the same notion of creating better public dialogue, Mr. Palombo continues to travel, discuss and write - he is the Politics Editor for the internet magazine Ragazine.cc; he contributes articles that are translated and published in the Italian political journal, Acque & Terre; and he recently completed a chapter, “Cuba and the U.S. – Data Difficulties and Ideology” for a book by Palgrave Macmillan, Race, Ethnicity, Crime and Criminal Justice in the Americas edited by Anita Kalunta-Crumpton. He currently divides his residency between San Miguel de Allende, Mexico, and Endicott, New York, working at community related projects in both locales. Criminal to Critic front cover. Click image for order information. 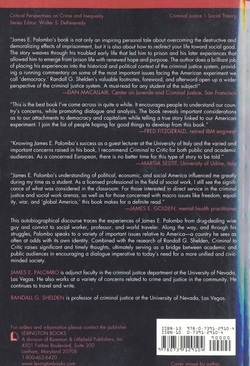 Criminal to Critic back cover. Click to enlarge.